The same woman appears in each of these two photographs by the Baker Art Gallery of Columbus, Ohio. The woman is very pretty. 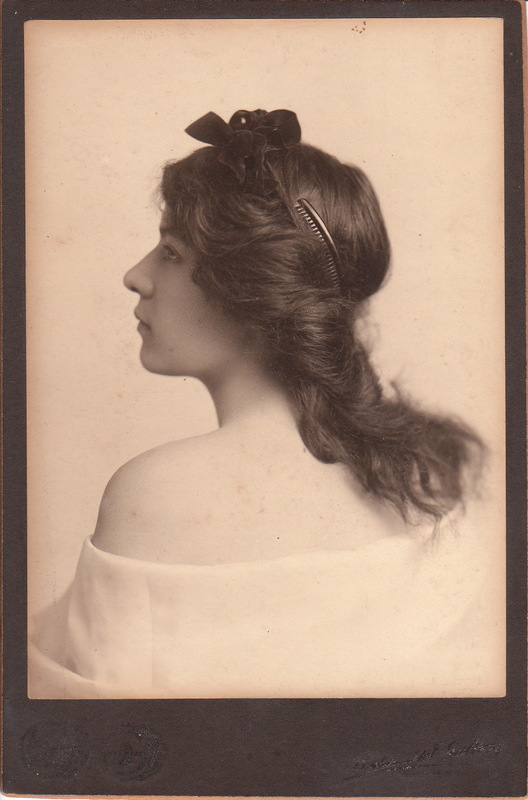 She is wearing a black bow in her hair in both photographs and in the profile portrait she is wearing a hair comb. There is a lot of bare skin in these photographs which make them a bit risque, though tastefully done. 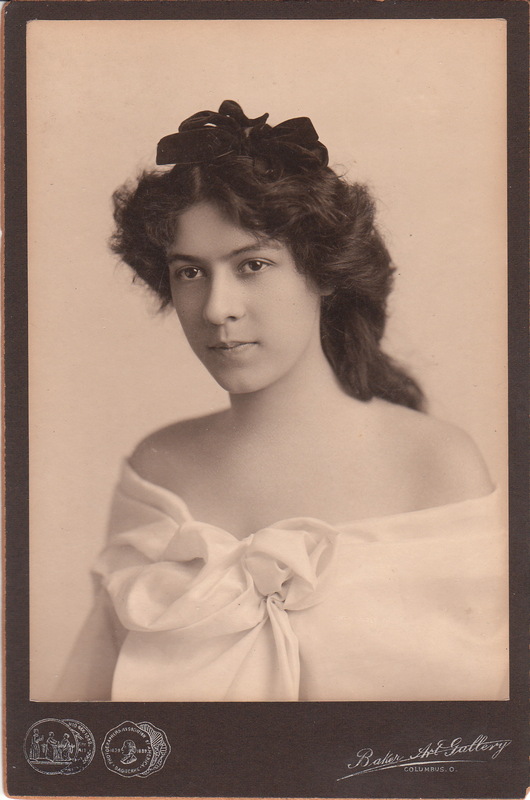 The Cabinet Card Gallery is building a nice collection of photographs from the Baker Art Gallery. To view these images, click on the category “Photographer: Baker Art Gallery”.